Jesus’ famous words framed Sixteenth Street Baptist Church’s Sunday School lesson on Sept. 15, 1963. Titled “A Love that Forgives,” it was a message that the predominantly African-American congregation, who were suffering under racial persecution’s climax, desperately needed to hear. Just three months before, Police Commissioner Theophilus “Bull” Connor ordered the use of fire hoses and police dogs against thousands of African-American youths. The atrocious police brutality attracted national and international attention to perhaps the most racist city in the United States. In a cruel irony, the congregation never heard the lesson on forgiving its enemies. Instead, at 10:22 a.m., a bomb interrupted the service, killing schoolgirls Addie Mae Collins, Cynthia Wesley, Denise McNair and Carole Robinson and injuring more than 20 other worshippers. Later that day, two more African-American children lost their lives to police and white mobs. Although that day’s events were horrific, they also served as a catalyst for the Civil Rights Movement’s victory. City officials could no longer ignore the infamous reputation of “Bombingham.” By the end of the decade, African-Americans were vying for and often winning positions as police officers, school superintendents and even suburban neighbors. Today, Birmingham looks back in reflection and forward in anticipation. 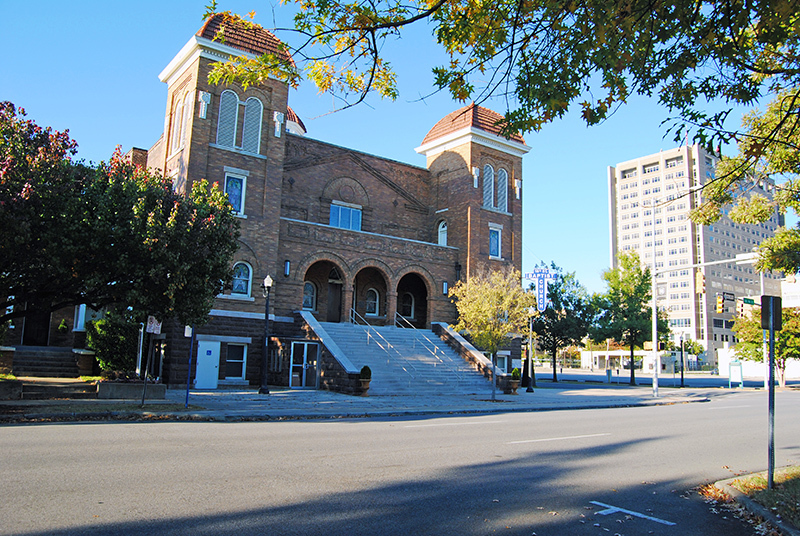 The bells of Sixteenth Street Baptist Church tolled in memory of the four girls on Sept. 15, 2013 – exactly 50 years since the tragedy. Their ringing reminds attendees just how much Birmingham has changed. 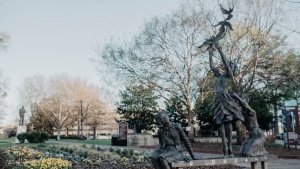 Next to the historic church lies the Birmingham Civil Rights Institute, which opened in 1992, and Elizabeth MacQueen’s Four Spirits statue memorializing the four schoolgirls unveiled this year in Kelly Ingram Park. An avenue named after Richard Arrington Jr., Birmingham’s first African-American mayor, pierces downtown. 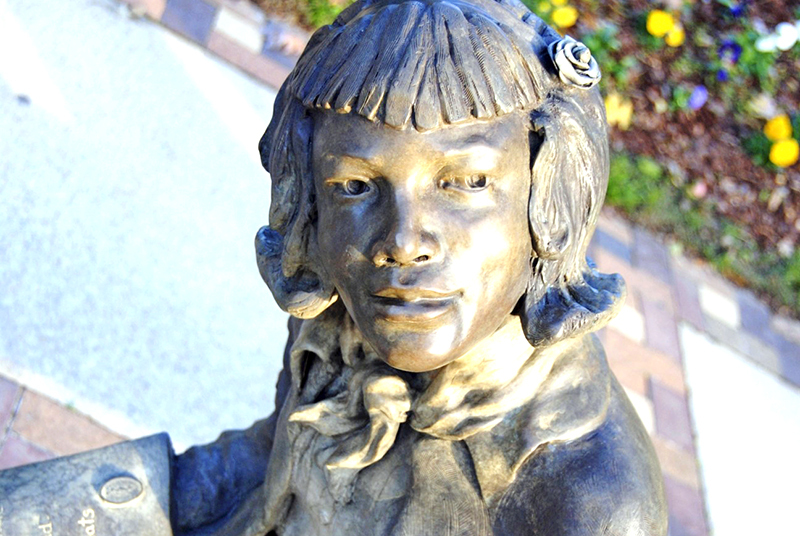 Downtown blossoms under the leadership of Mayor William Bell – also African-American – with the construction of Railroad Park, Regions Field and a new entertainment district orbiting the city center, a scene suggesting Birmingham’s best days are yet to come. While it may be Birmingham’s most infamous chapter, the Civil Rights Movement is merely one piece of its history, Samford history professor Jonathan Bass said. To fully understand its significance, Bass said one should start at the very beginning—1906, to be precise. That was the year U.S. Steel bought the behemoth Tennessee Coal, Iron and Railroad Company and, in about four decades, built an empire in Birmingham. By World War II’s end in 1945, the city’s iron ores and steel mines were in full production and U.S. Steel had become the city’s largest employer. But that heyday ended during the 1950s when U.S. Steel found cheaper, higher quality iron ore in Venezuela. The mines closed as quickly as they opened. African-Americans bore the brunt of that change. That decline in the steel industry, Bass said, set tensions high for 1963. During the steel industry’s great leap forward, another factor that would propel the Civil Rights Movement was coming to power—a religious revival. Bass said that Martin Luther King Jr. is often seen as a political hero but in many ways he belongs with Jonathan Edwards, Charles Finney and other American religious powerhouses. The fight for Civil Rights was, in turn, also a religious crusade, nestled perfectly within a spiritual awakening that marked the mid-20th century. A few years ago Bass attended a Bible study with African-American men ages 18 to 81. He recalls his fellow participants comparing the disciples with local citizens’ sacrifices for civil rights. “That was really eye-opening for me,” Bass said. The 1954 Brown v. Board of Education decision to desegregate schools and the passage of the Civil Rights Act of 1964 dealt strong blows to segregation, but they weren’t enough. Dismantling segregation was a lofty task, but under the leadership of Mayor George Siebels and city councilwoman Nina Miglionico, it happened. After three long years, the first African-American policeman, Leroy Stover, was finally hired. Then African-Americans D.M. Jefferson and E.W. Taggart joined the Birmingham Dental Society. In 1968, African-American Leon Kennedy became superintendent of Jefferson County schools. But Bass said the Civil Rights Movement culminated in 1979 with the election of the city’s first African-American mayor, Richard Arrington Jr.
“That was [the conclusion] of what King began in 1963,” Bass said. Although the dark days of segregation may be over, the battle for equality continues. 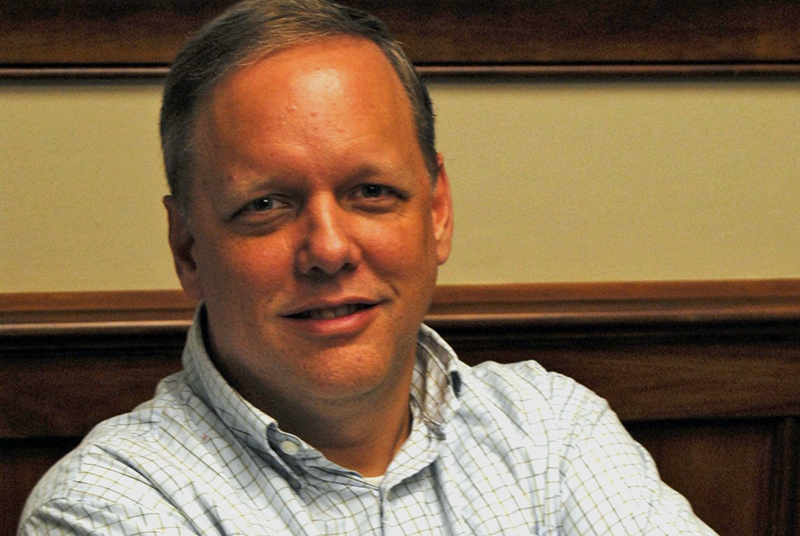 Mark Stribling, a volunteer at the Birmingham Civil Rights Institute, recalls his first visit to Birmingham in 1999 for a job interview at UAB. Stribling said that education is the antidote to prejudice and indifference. “[Racists] walk around in ignorance,” he said, describing local teenagers who dressed as Ku Klux Klan members and even carried nooses for Halloween. “You have to teach what things represent,” he said. “People in the KKK [dress] to be the ghosts of Confederate soldiers coming back from the dead to kill black people.” Once teens learn this, they usually stop wearing their costumes, Stribling said. Interestingly, when Stribling described the future of Birmingham, he mentioned little of racial division. Instead, he talked about young urbanites flocking back to downtown, UAB forging a law school and a booming business district. Then the nice people came and resurrected Birmingham so Stribling could say something that 50 years ago would be unimaginable.